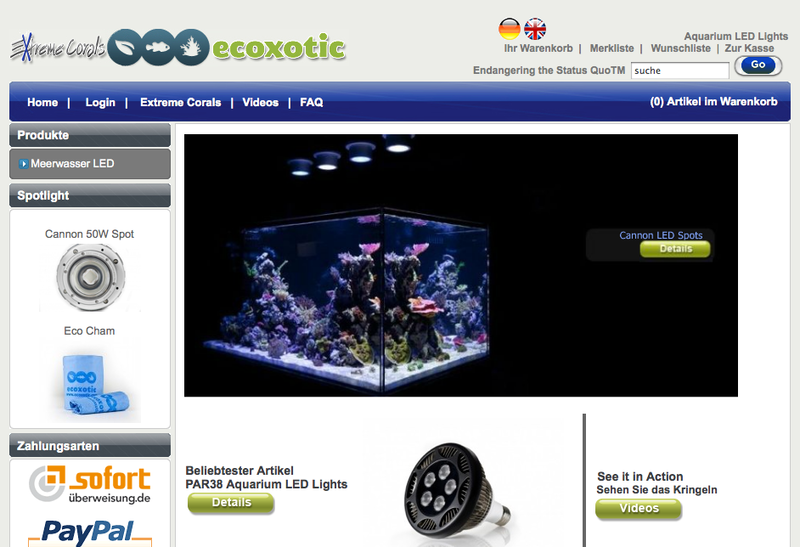 Aquarium equipment companies are usually founded in Europe and only after years of building up their customer base do they eventually head west to the United States. Ecoxotic on the other hand, is bucking this trend by doing the exact opposite. They pride themselves on going against the grain of traditional aquarium keeping anyways, so why this is a surprise to us is completely unknown. With the help of Fauna Marin, the US-based LED company is now going to be offering their innovative product line to European reefkeepers. Everything from Stunner Strips to Photon Cannons will be sent across the pond, probably showing up first in Germany and Great Britain, then radiating outward. Congrats on the expansion guys. This news comes to us from the NanoReef Blog.